February 6th introduces the concept of the triangle as providing structural strength. 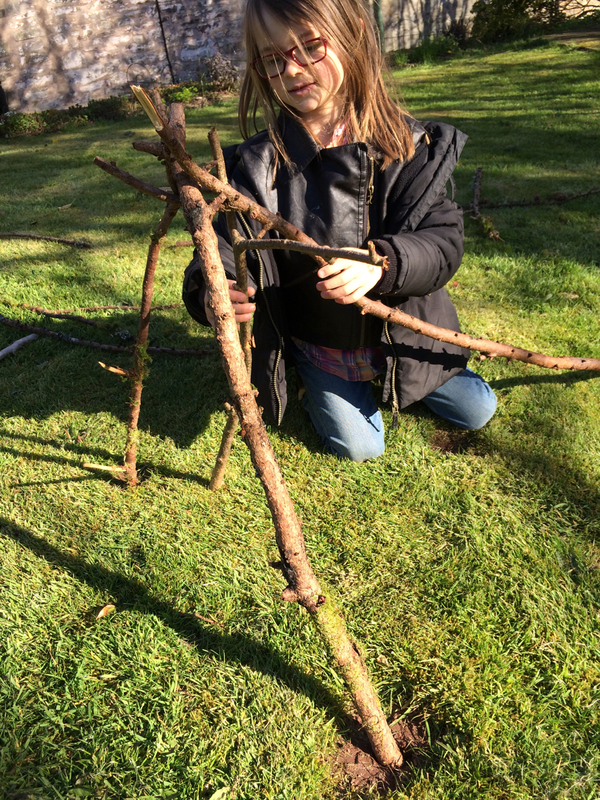 You can use Y branch to fit together 3 sticks that can make the basis of your den. 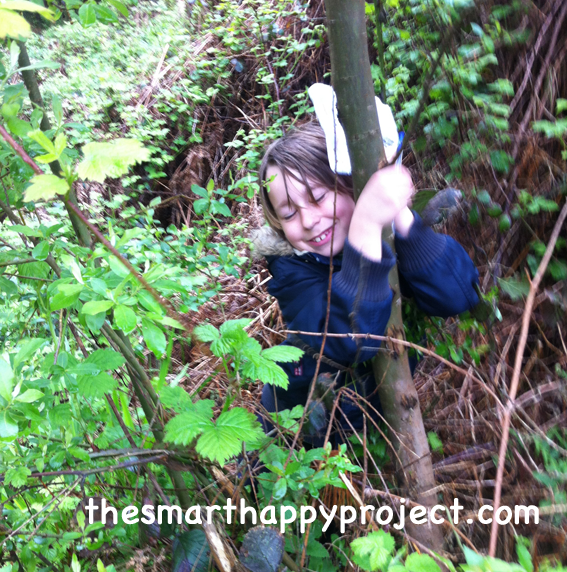 The Smart Happy Project summer magazine explains more about strength and the triangle and den building with it. The month starts with St. Bridget, (1st) traditionally a pagan festival that marked the beginning of spring. In the Steiner Waldorf curriculum Bridget is thought of as the maiden of spring who pushes away the winter. St Bridget is also thought of as one of the patron saints of Ireland. 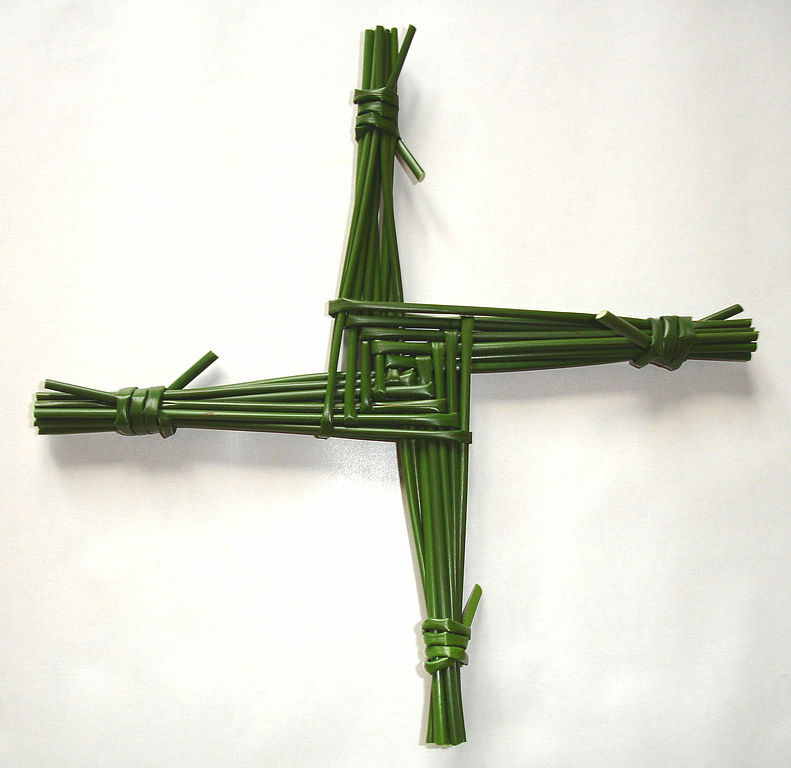 The St Bridget cross is still made in Ireland on this day from grass or straws. It also has associations with the sun cross which has four equally spaced arms within a circle. Weaving these crosses from grasses is a simple geometric craft and is in keeping with the Steiner Waldorf philosophy of head, hands and heart. Candlemas day is February 2nd. and there is a poem about it. I am always looking for ways to bring more poetry into my life. You can download the poems for 365 nature journal here, this month it is 2nd and 8th. Bring poetry into your life. Reciting poems encourages literacy and confidence in public speaking. Candlemas day was originally about blessing the candles in the church . Yet i quite like the old belief that hibernating animals would wake from their sleep on this day, if they ventured outside and saw their shadow (because of bright weather) they would be scared and return to sleep longer, or, if it a dull day, they emerge unafraid and start their season in the natural world. So this makes sense of the words of the poem. The hibernating animals instinctively knew that if it was a bright day it was false and winter would still return. Whether you choose to believe this is up to you but sometimes stories like this can catch our imaginations and make us see nature in a new light. 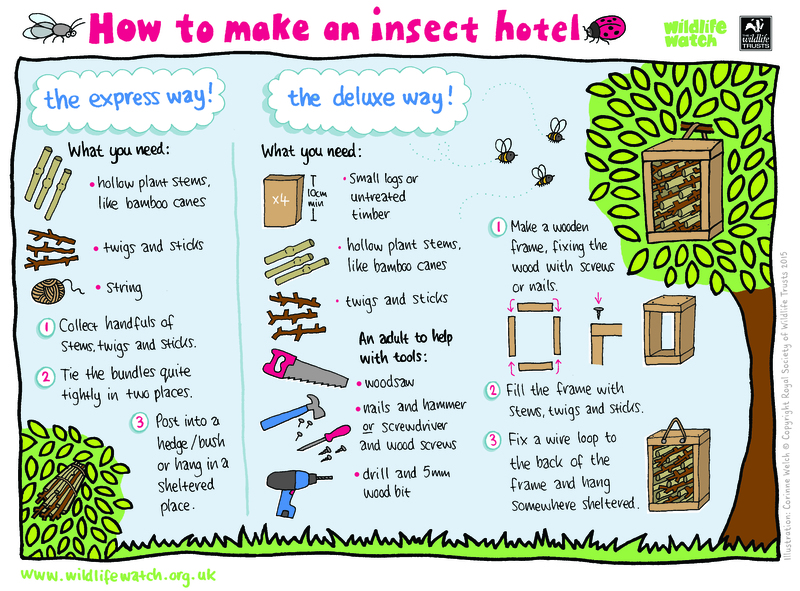 The activity sheets from Wildlife Watch (read my wildlife watch blog ) have great instructions for the 17th, 18th and 21st, you can download them. 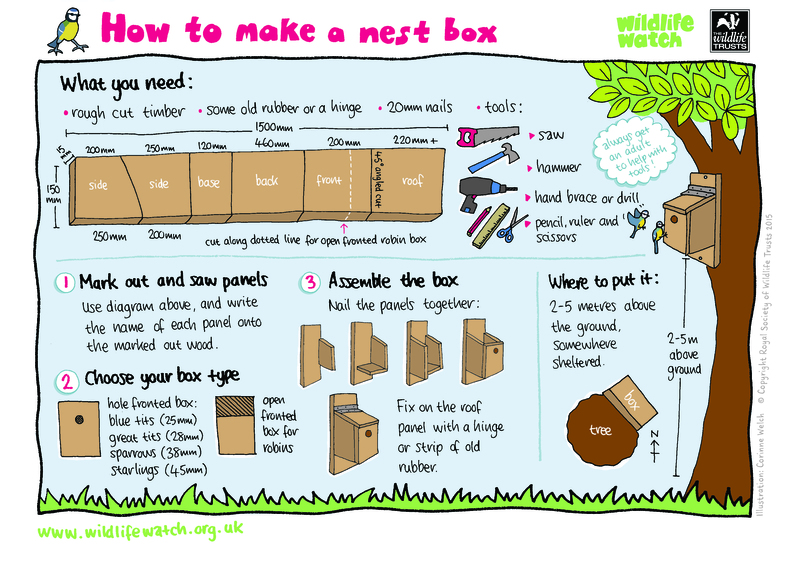 The Animal Tracks and Signs sheet from the Wildlife Watch is great for the 4th and general spotting of animals moving around at the beginning of the season and all helps build the observation skills. Picking your secret spot (7th) in nature. This will be returned to throughout the year , so if you get a chance it may be a valuable exercise to take you though the year. It can just be somewhere in your garden or on a regular walk. On the 10th you can begin measuring your shadow and use length of shadow to keep track of your readings, come back to it throughout the year to see how it varies with the sun position in the sky. Like the winter hexagon of last month try to get an opportunity to get outside and enjoy stargazing and the night sky. Make an event of it even if its just wrapping in a blanket and popping out the back door for a few minutes. It will be a thrill that will be remembered. 5th suggests learning a new constellation. You can find out about different constellations here, i always find Cassiopeia one of the easiest to spot because of its W shape. 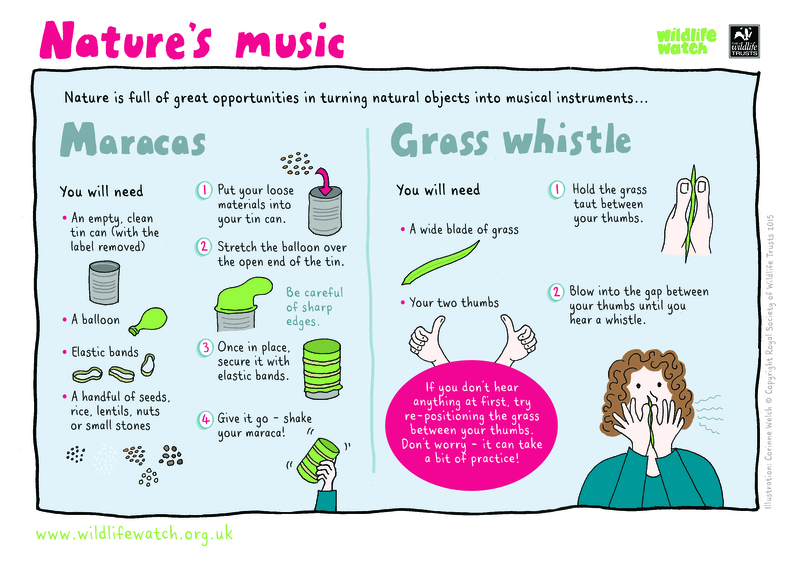 Sensory observations continue this month (11th/14th/24th) And the later part of the month begins to focus on the coming spring and preparations for growth. the 4th and the 19th encourage an awareness of animals waking up and starting to move around. looking for tracks can be fun and will get you outside even if you don’t find anything. animal tracks for 365 journal download sheet. There may be a few early spring flowers where you are and they are always a joy to see. 16th and 25th. And if they inspire you, download the seed wishlist of the 26th to fill out and starts making plans. Enter your email details here to receive the monthly emails with all the info and downloads you will need for the 365 Nature journal. Thanks for reading, if indeed you did get this far!